Posted in All Things Costume, Art & Illustration, Art Jewelry, Everything Steampunk with tags All Things Costume, art, black and white, crosshatch, engineer, Everything Steampunk, lady, pen and ink, steam fest, stipple, victorian, victorian costume, woman on June 12, 2012 by Bobbie Berendson W.
So this picture turned out to be so much fun I almost didn’t want to finish it. 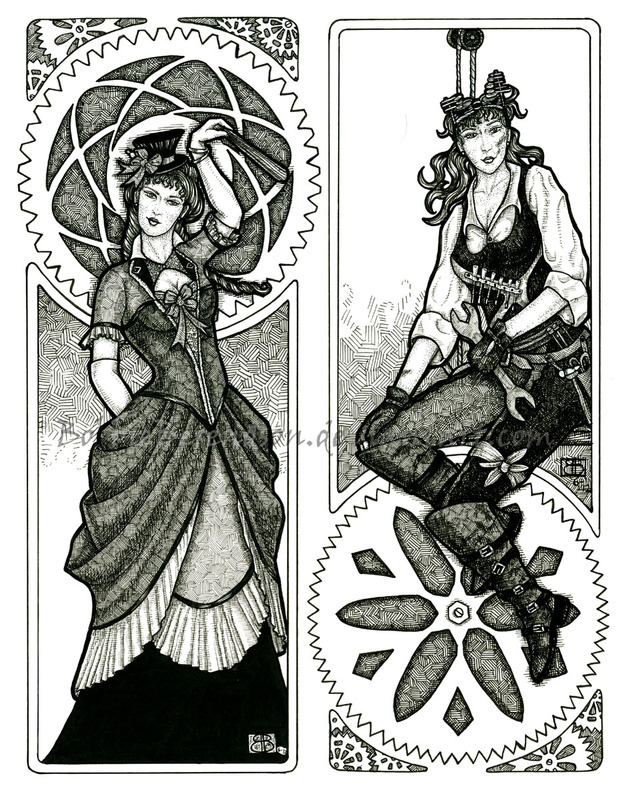 Working on some Steampunk themed art bookmarks and jewelry for the first Salt City Steam Fest check it out! I will have more to share in a few days. My tiny art necklaces have worked out beautifully and I am getting good pics and scans of them now.